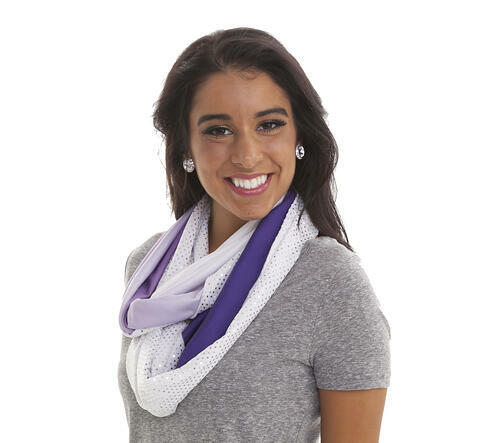 The Minnesota Vikings Cheerleaders have a new element they have to account for this year at games: snow! And at The Line Up we're up for the challenge: how do you make winter wear cute AND warm? We worked closely with head coach and coordinator Tami, to get the jacket looking exactly how she intended, and making sure it was warm. It can get below 0 degrees in Minnesota ... before windchill! Our design team worked hard to get the fit and fabric to work together. We love how they turned out! 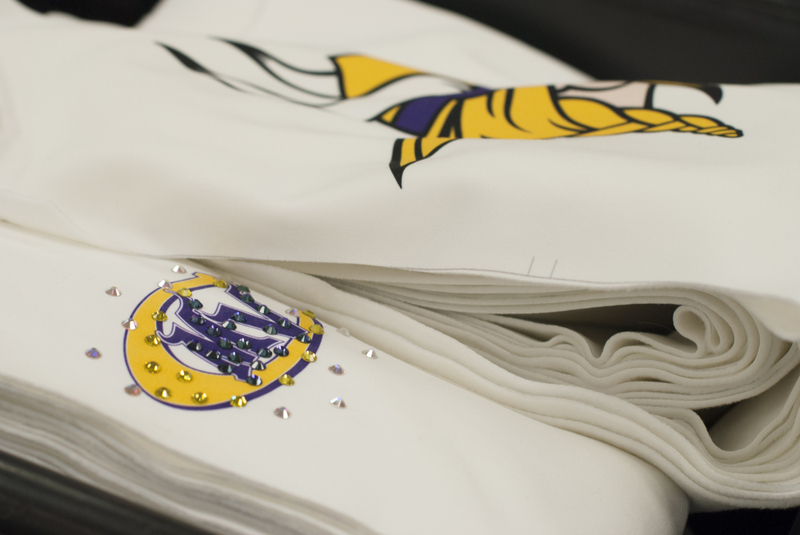 We were able to sublimate the MVC logo on the front, VIKINGS down the sleeve, and the iconic Norseman head on the back making this jacket truly unique to their team. The rhinestones were a necessity to make sure this was the coziest and GLAMOROUS jacket of the North. To top it off, the ladies are wearing our infinity scarf, in half ombre and half showstopper, which is the perfect accessory for the outfit. 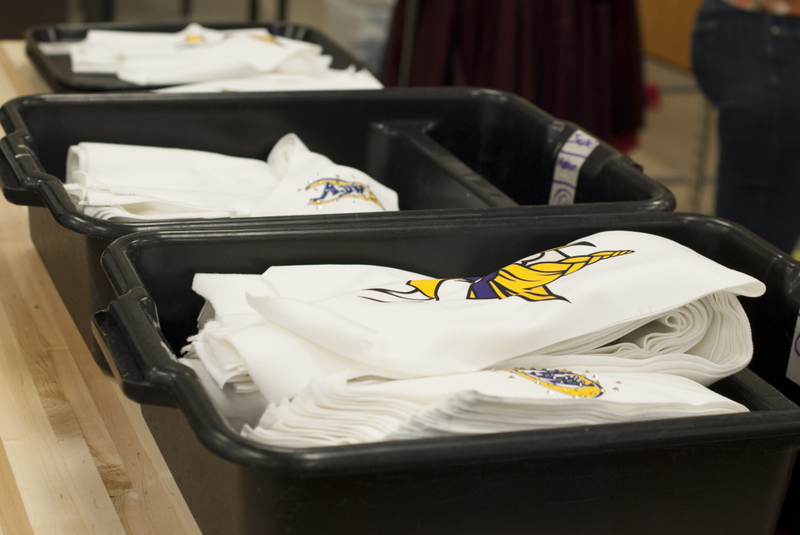 Here are some behind the scenes photos of the uniforms in production! Every detail matters! Rhinestones take this jacket from great to GLAM. Esperanza gets the stones set up on transfer sheets before heat pressing them to the garments. The ladies look absolutely fabulous in their new uniforms—and we hear they're nice and toasty. Double cheers!